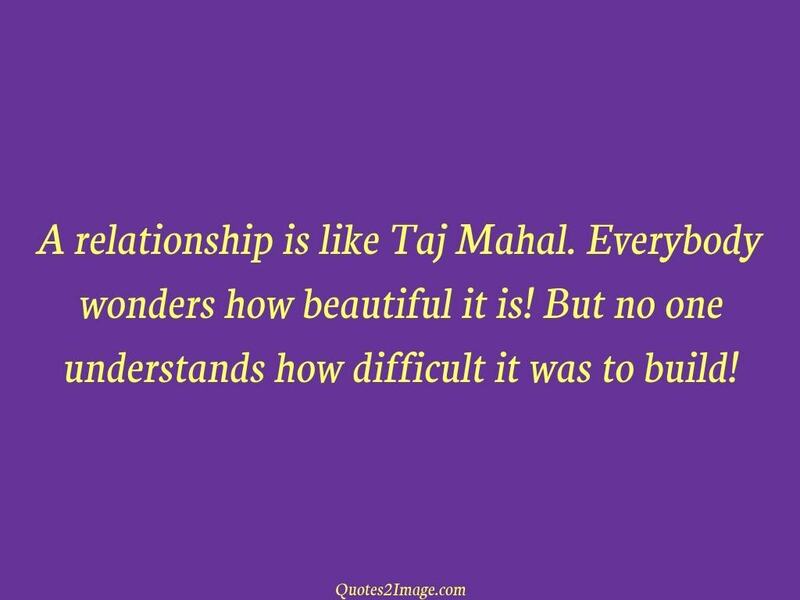 A relationship is like Taj Mahal. 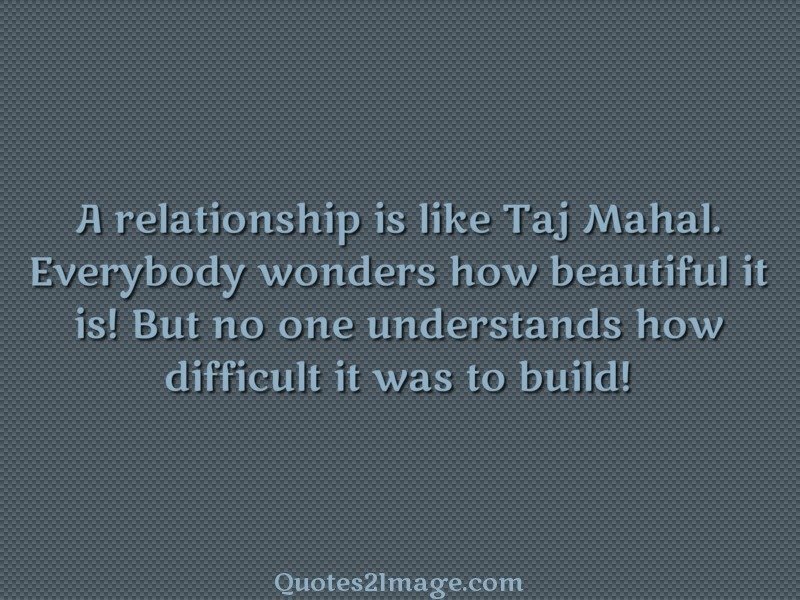 Everybody wonders how beautiful it is! 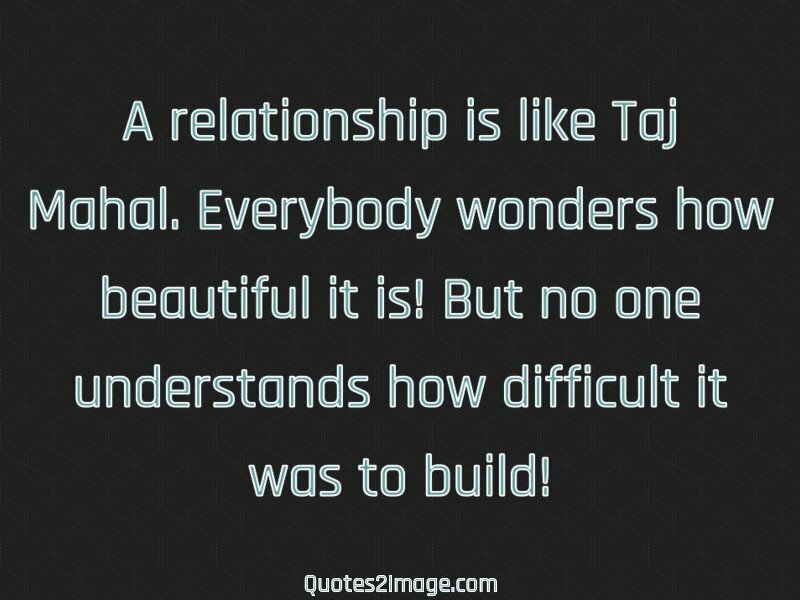 But no one understands how difficult it was to build!